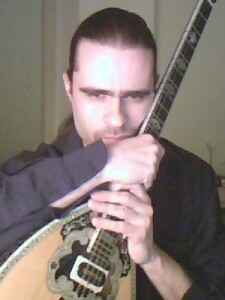 Mr. Ioannis Papaspyrou is a native Greek professional musician, performer, composer, and arranger. He has received his Bachelor’s and Master’s degree in Music Composition at Georgia State University with Dr. N. J. Demos. He also holds a Diploma in Composition and a Diploma in Byzantine Music (Eastern Orthodox Chant). Mr. Papaspyrou has a considerable portfolio of compositions which are mainly influenced by Greek popular, folk and Byzantine Music. His piece “Mysterioso Agitato” was finalist at the 2011 “Soli fan tutti” composition competition at Darmstadt, Germany.